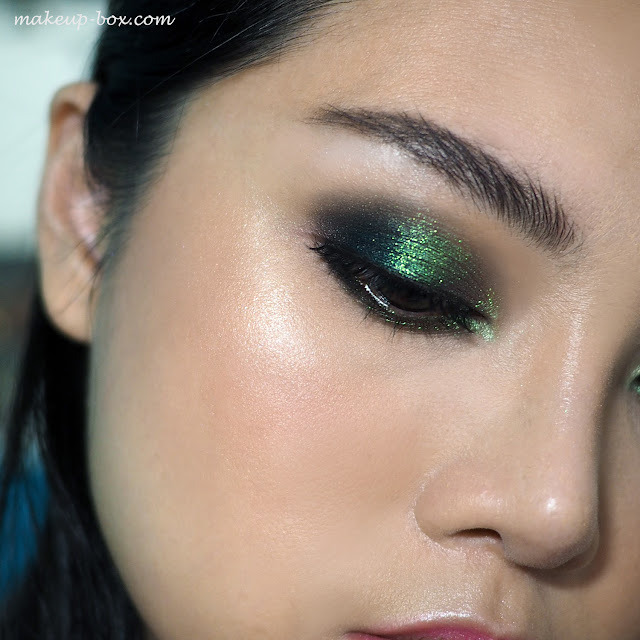 I wanted to play with a few green shadows that I haven't used for awhile, so I whipped up a green on green look today. 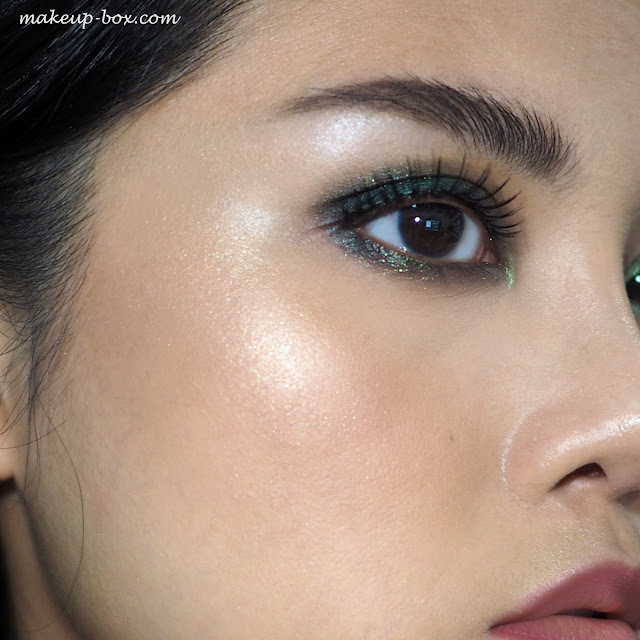 Top Shop's U-Turn is a more sparkly and transparent version of typical duochrome shadows like MUG Havoc, but if you don't have a duochrome, just go with a shimmery teal shadow and don't worry about it being duochrome. 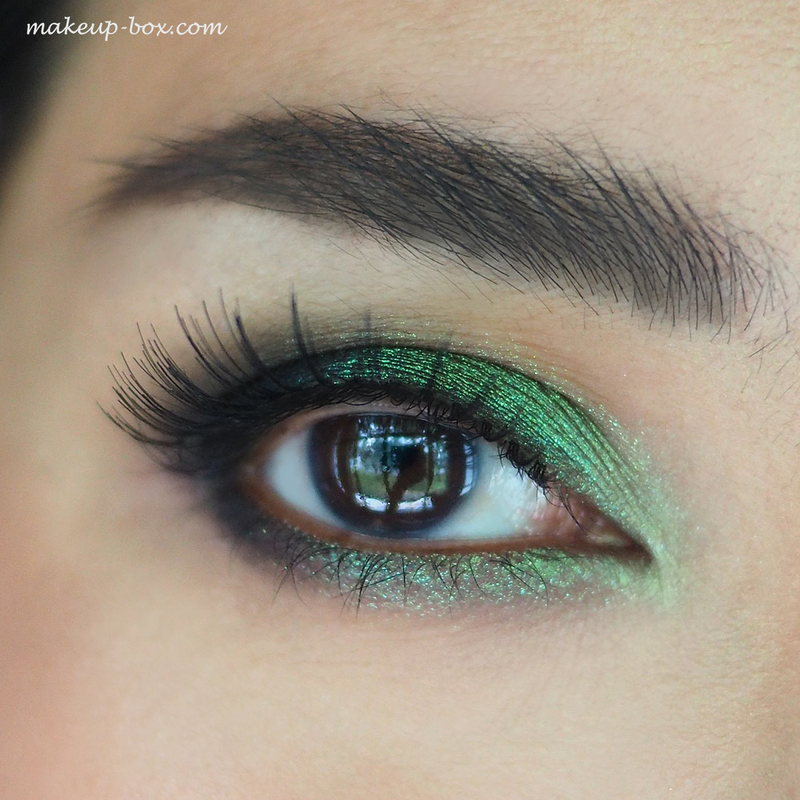 The main thing is to go from dark to light, using a black-green on the outer corners, to a rich teal or emerald green in the center, and then a pale jade green around the tear ducts, so there is depth and richness with a nice gradient. As for the cheeks, I was playing with my Laura Mercier Face Illuminator in Indiscretion, a soft rosy beige. 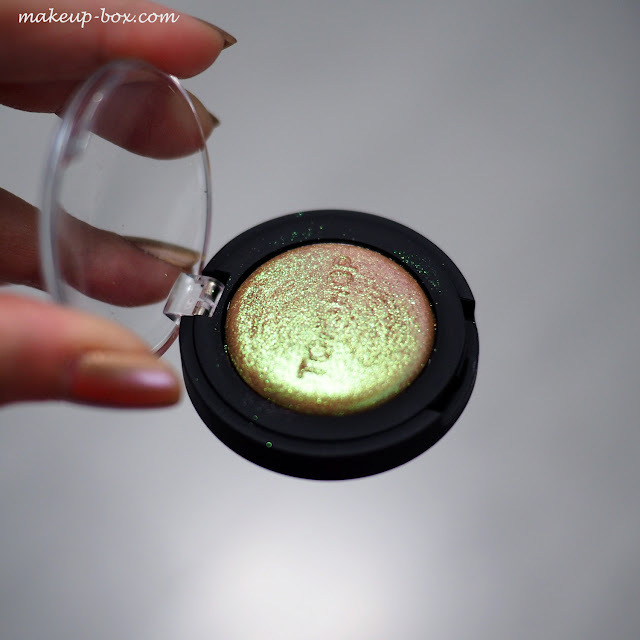 This is an old fave, and I think LM has consistently been good with face highlighters. It's silky, fine-grained, buildable, not overly-metallic, and the colors are usually very multi-faceted. Never a flat color like gold or pink. Indiscretion is actually slightly too deep for my NC25 skin tone when swatched intensely, but when it's dusted on lightly, it just works like a subtler sheen on light skins. And it doesn't look too pale and stark or metallic. It's also perfect as a blush topper, to add glow along the tops of your blush. Of course, if you own the other two lighter shades, you don't need to worry about this.